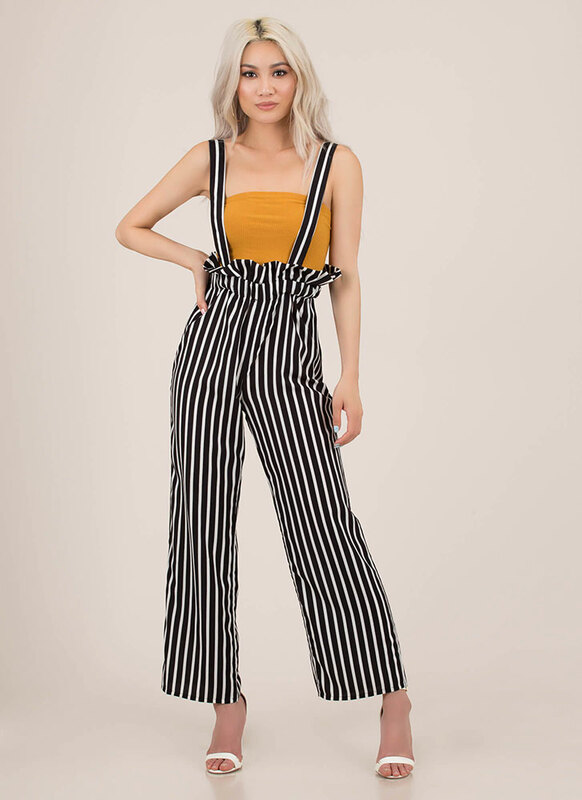 These fun, frilly, fashionista-approved pants can go anywhere, whether it's a work day or a weekend... Lightweight, non-stretchy, two-toned jumpsuit features an allover print of vertical stripes, high-waisted pants with a ruffled waistband for a paper-bag-inspired look, wide palazzo pant legs, and adjustable shoulder straps for a suspendered design. 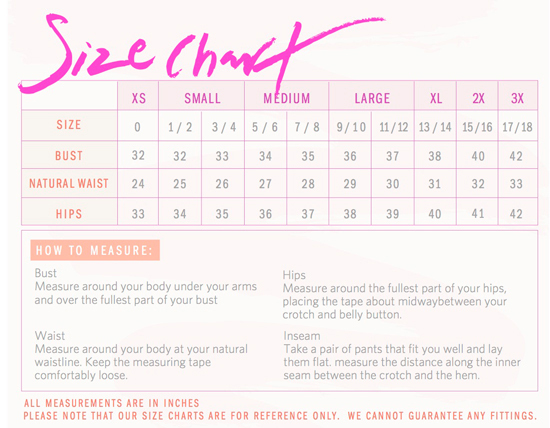 Pants are finished with a hidden side zipper for easy on and off. Pattern placement may vary.